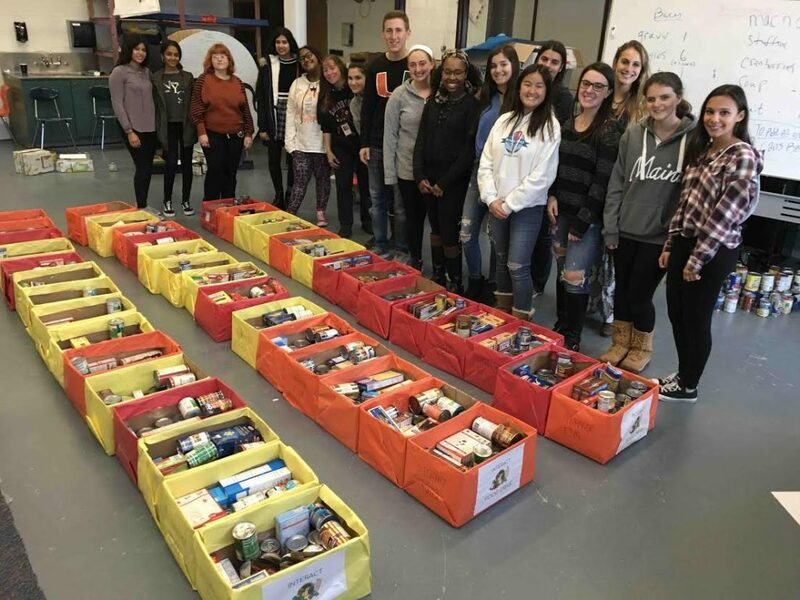 Smithtown High School West recently held a food drive to help local families in need this Thanksgiving. Spearheaded by the school’s Interact Club with the help of teachers Joan Havranak and Dr. Joanne Figueiredo, the drive collected donations from students and faculty members. The club was able to make 43 food baskets for local families and also bought turkeys, turkey pans and $20 gift cards for all families. In addition, they purchased $100 gift cards for families without cooking facilities.